Ideal for entertaining baby at bath time! 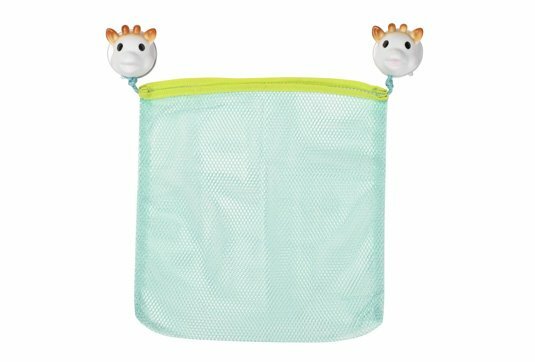 - A Sophie la girafe bath net: Ideal for drip-drying and tidying away baby's toys. It fixes easily and solidly to the sides of the bath with suction grips. 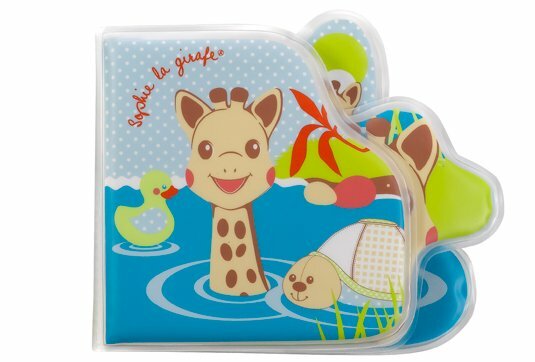 - A Sophie la girafe bath book: An 8 page book to discover Sophie la girafe and Margot the turtle enjoying the water. 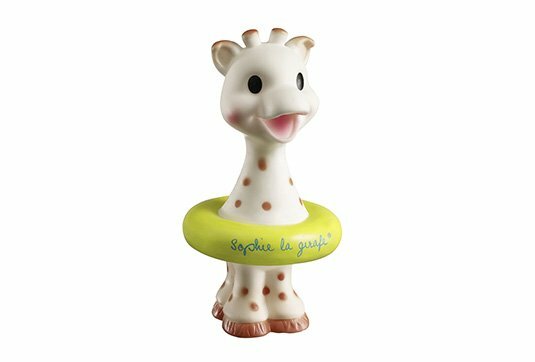 -A Sophie la girafe bath toy: both a floater and a sprinkler toy. 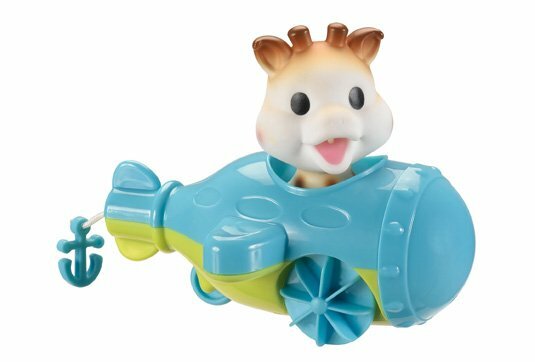 This amusing Sophie la girafe sprinkler toy sprays out water when squeezed. 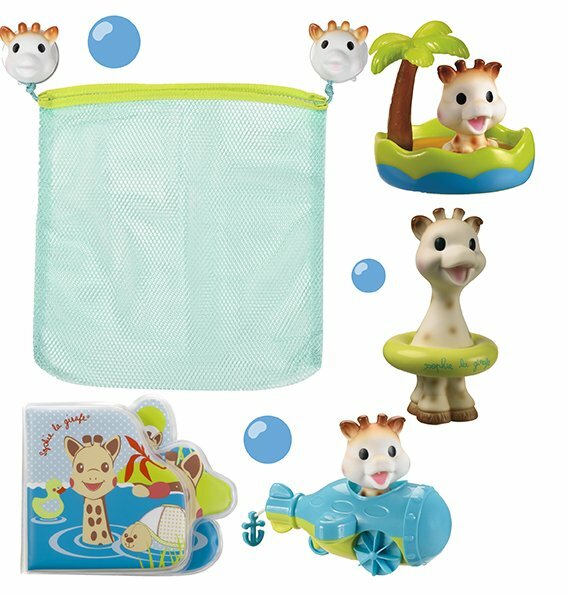 - Sophie la girafe traveller: Functions both in the water and on the floor. Just pull on the anchor and it swims up and down the bathtub. 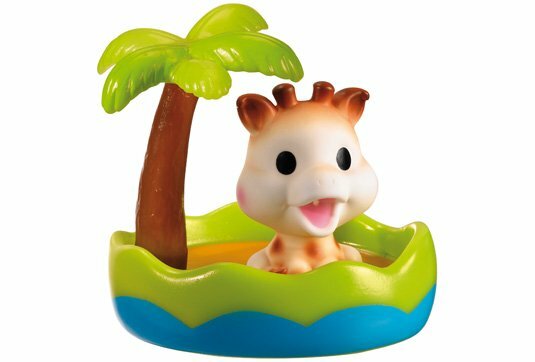 Sophie la girafe, used alone, becomes a bath toy which spits out water when squeezed. 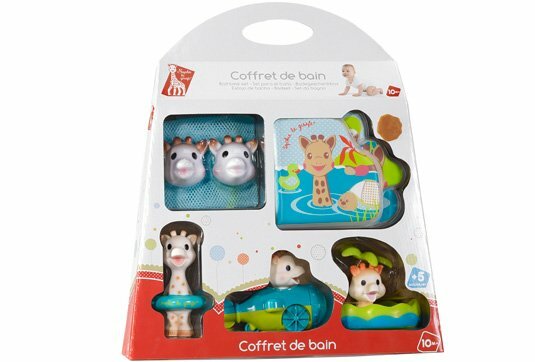 - A Sophie la girafe bath oasis: Floats in the bath and encourages baby to make up lots of stories. 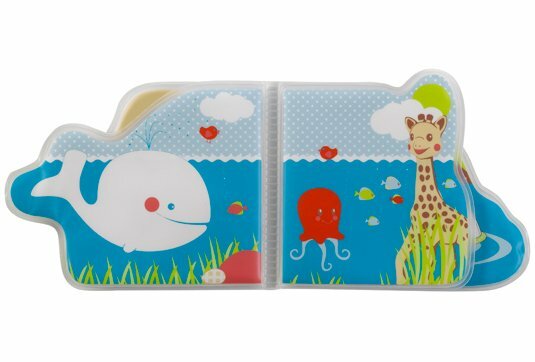 Baby will love taking Sophie la girafe in and out of the traveller. Used alone, it becomes a bath toy that spits out water when squeezed.